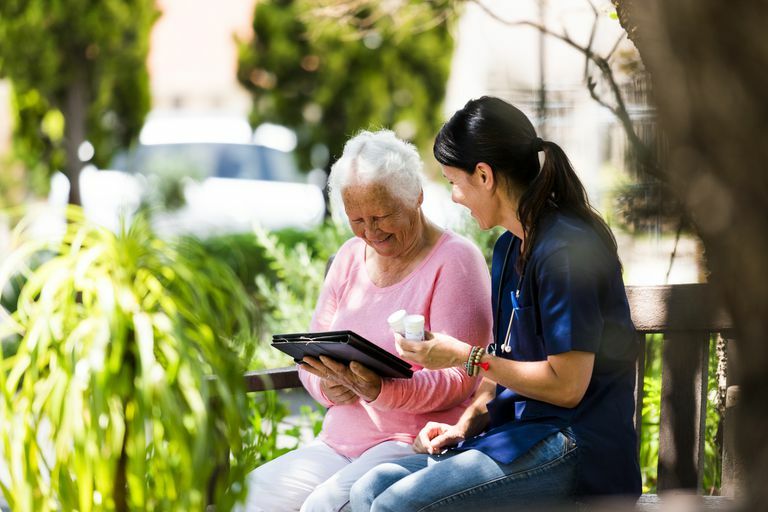 The Centers for Medicare and Medicaid Services' (CMS) care management tool in nursing homes is called the Minimum Data Set (MDS), a set of screening and assessment tools that is part of a Resident Assessment Instrument (RAI). The latest version is MDS 3.0. The latest updates can be found here. The RAI provides an assessment of each long-term care facility resident's functional capabilities and helps staff to identify health problems. This assessment is performed on every resident in a Medicare and/or Medicaid-certified long-term care facility. The big difference between MDS 2.0 and MDS 3.0 is that this assessment incorporates direct resident interviews in the process. According to CMS, "MDS was improved to include the resident in the assessment process and to use standard protocols used in other settings." The daily rate paid to nursing homes is determined through the Medicare Prospective Payment System (PPS), which determines rates based on certain characteristics and the number of resources used by residents. The grouping system is called RUG (Resource Utilization Group). When MDS 3.0 was introduced so was RUG-IV. One of the major goals of MDS 3.0 is to increase resident interview items. Appendix D of the MDS 3.0 Manual, "Interviewing to Increase Resident Voice in MDS Assessments," contains approaches you can use to make interviews simple and more effective. One project is The Living History Program created by Sheila Brune. She uses a detailed form which a volunteer fills out during an interview with the patient. This is used to write a one-page story that is designed to be a “springboard to conversation.” To do this within a facility requires card stock, a color printer, computer with Word software, and a laminator, This creates a beautiful finished formatted story to present to the patient and their family. The cost to start a program is usually less than $1000 and on-going costs of the program are minimal. The Living History Program is copyrighted by Brune but there is no cost to use the program. Brune will come to a facility and train a staff on using the program for the cost of her travel expenses or she can give instructions by phone or email, for no fee. Selecting which patients are subjects of The Living History Program is based on age or diagnosis, a referral from a staff member or simply someone who likes to share their story. “We like to do stories on those who are older but it is not necessary that they all be elderly. We can do a story on anyone as long as they can answer the questions. If patients are confused, we often ask their family to help us with details,” Brune said. This only scratches the surface of MDS 3.0 but points to the complexity and the regulations involved in delivering care in a nursing home. This information is not intended and should not be construed as legal advice. But it can start you on the path of understanding.